A strong simple tool for large horns. One knife does the entire cutting job. 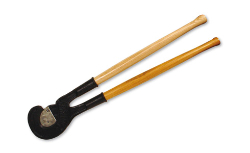 16-1/2" dehorner with 25" wood handles.